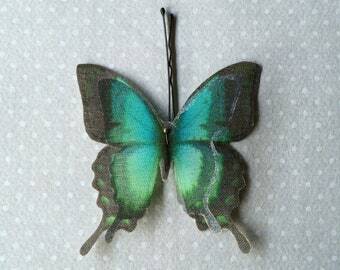 Lovely hand-made bobby pin with dragonflies! 1 piece, choose between yellow or blue color! 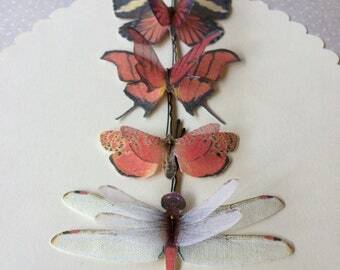 Dragonflies bobby pins are very delicate. 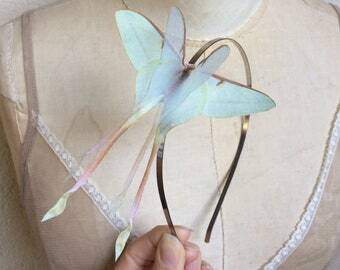 You can wear them on your hair every day but don’t stretch butterflies, don't wash (also if they are waterproof). 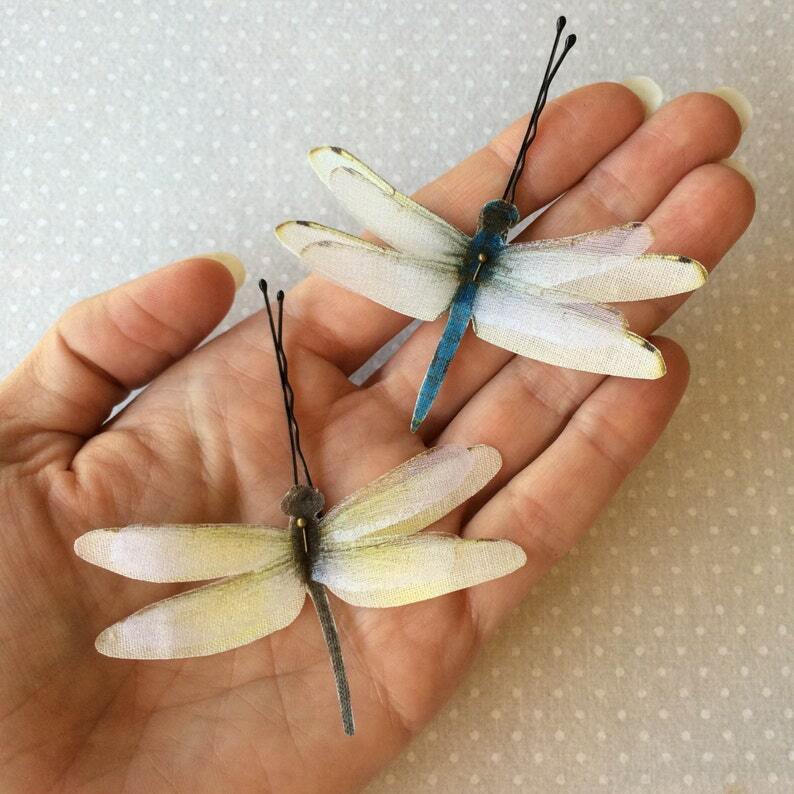 My bobby pins are made using 2 dragonflies: one in cotton and one in silk organza. They measure about 7.5 x 4.5 cm. Your favorite dragonfly will fly to you with registered tracked airmail by Poste Italiane shipment service. 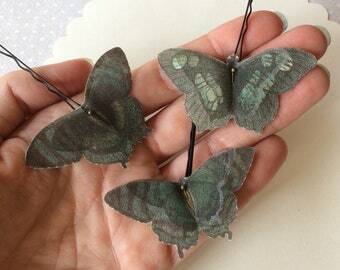 très joli, ressemble à de vrais papillons en train de voleter. Très beau dans les cheveux. 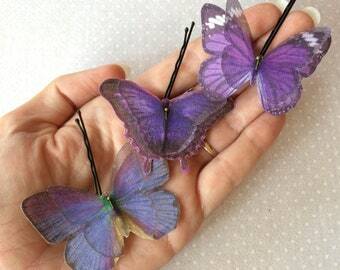 Wonderful butterflies! Fast service, lovely package—a great birthday present for a friend. Thank you!